Obituary for Ida Louise Barnhart | Grove Funeral Home, P.A. Ida Louise Barnhart, age 68, of Hancock, Md., died on Thursday, March 15, 2018 at her home. Born April 22, 1949, in Berkeley Springs, W.Va., she was the daughter of Frances (Weller) Knable, of McConnellsburg, Pa.; and the wife of Leroy Isaac Barnhart, whom she had been married to for fifty-one years. 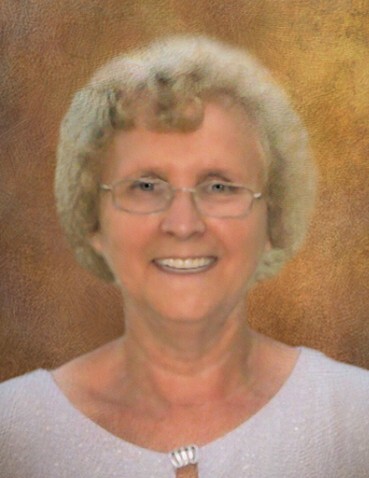 She was a member of the Orchard Ridge First Church of God, in Hancock. In addition to her husband and mother, Ida is survived by a son, Christopher A. Barnhart and his wife, Jantia, of Thurmont, Md. ; a daughter, Jennifer L. Ruppenthal and her husband, Tim, of Hagerstown, Md. ; a sister, Linda Smith, of Warfordsburg, Pa.; three brothers, Donald Weller, of Hancock, Marvin Knable, of Needmore, Pa., and Barry Knable, of Mercersburg, Pa.; and three grandchildren, Bryce and Courtney Ruppenthal and Chayney Barnhart. Funeral services will be held on Monday, March 19, 2018, at 11:00 a.m., at the Orchard Ridge First Church of God, with Rev. Jeffrey Hawbaker officiating. Burial will follow in the church cemetery. The family will receive friends at the Grove Funeral Home, 141 West Main Street, Hancock, on Sunday, March 18, 2018, from 1:00 until 3:00 p.m., and at the church on Monday, for one hour prior to the services. Memorial donations in her name may be made to the Orchard Ridge First Church of God, 14128 Orchard Ridge Road, Hancock, Md. 21750.